Because of the significant summer and winter slowdowns, it is difficult to come to definitive conclusions about the direction of the market during July/August, and December/January. One really has to wait for the autumn market to begin in mid-September with the typical surge of new listings, or the spring market to begin in late February/ early March to get a sense of where the market may be heading next. This report generally separates out the 2-4 unit and the 5+ unit apartment building markets, since they typically have different dynamics and values. All the statistics below are broad generalities covering a wide variety of buildings of very different location, size, quality, condition, tenant profile, income and income potential. 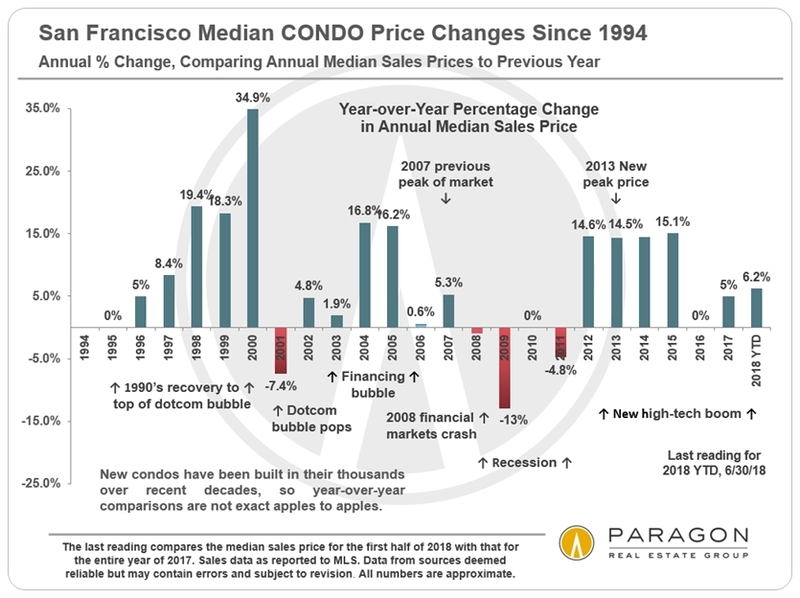 Some of the charts pertain to multiple counties, while later in the report, we drill down on supply and demand statistics specific to San Francisco. Note that some of the analyses track the last 12 months of sales, while others have a final data point reflecting only 2018 YTD sales. As a political update, Proposition F passed in San Francisco, providing city tenants facing eviction proceedings – for any reason – the right to taxpayer-funded legal representation. According to an analysis by Socketsite, the SF Accessory Dwelling Unit (ADU) program has so far resulted in 691 permit applications to add 1,244 such units to existing buildings. However, only 179 permits for 306 ADUs have so far been issued, and only 28 ADUs have been completed. 90 permit applications for 151 ADUs were filed in Q1 2018. There has been talk of the Planning Department simplifying the process and easing the requirements for the construction of ADUs, since current regulations have clearly been counter-productive to the goals of the program. San Francisco Commercial RentsNot so long ago, there were worries that a glut in new office buildings would hit market putting downward pressure on office rents, but every new building has had its space snapped up by major high-tech companies. This is pertinent to the apartment rental business since all those office buildings being leased are presumably going to be filled with additional, well-paid employees, maintaining pressure on apartment rents. This will help balance new apartment buildings coming on market as will be discussed later in this report. Approximately 68,000 housing units are now in the SF new construction pipeline. Consistent with the trends in recent years, the percentage of rental units under construction is higher than for those units intended as condo sales. Apartment BuildingsSan Francisco is a unique residential-investment market: the buildings are smaller and older than in most places, built in a wide range of architectural styles. The great majority of the market is under rent control, which makes upside rental-income potential a big component of valuation, even if it is unknown when that potential might be realized. Furthermore, the units are typically unlike those in suburban garden-apartment complexes, and within the city the variety in buildings and units is enormous. 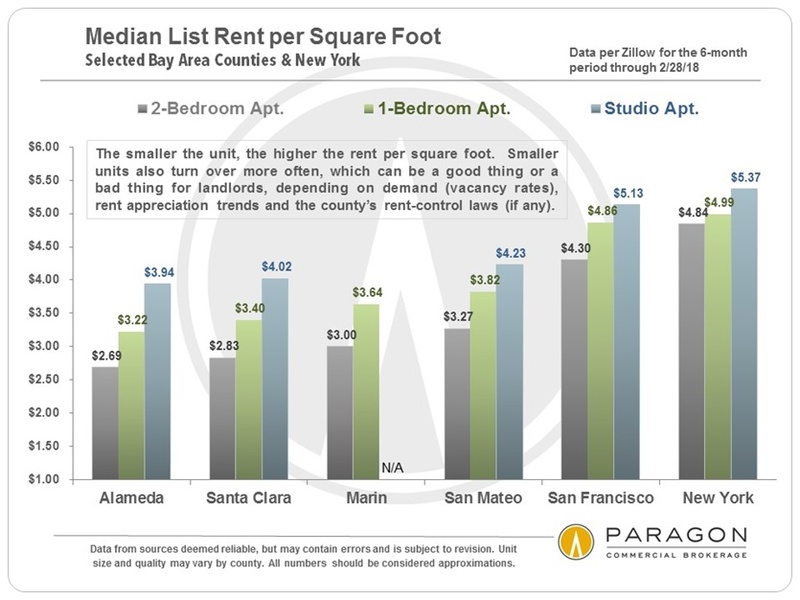 According to Broker Metrics, which crunches MLS sales data, of the largest brokerages in San Francisco for multi-unit residential property sales, Paragon ranks first for highest sales volume (in both 2+ and 5+ unit building sales). Paragon represents both many more buyers and many more sellers in successfully completed transactions. We also do significant amounts of business in surrounding Bay Area counties. It is impossible to know how median and average value statistics apply to any particular apartment building without a specific, tailored, comparative market analysis, which can be provided upon request. These analyses were made in good faith with data from sources deemed reliable, but they may contain errors and are subject to revision. Statistics are generalities: This is especially true for multi-unit properties, with the enormous range of property types, sizes, conditions, circumstances, qualities, financial data and locations. We are often dependent upon listing agents for income and expense details, which can be of varying accuracy. A percentage of investment property sales are not reported to MLS, which sometimes limits our ability for more comprehensive data analysis. All numbers to be considered approximate. 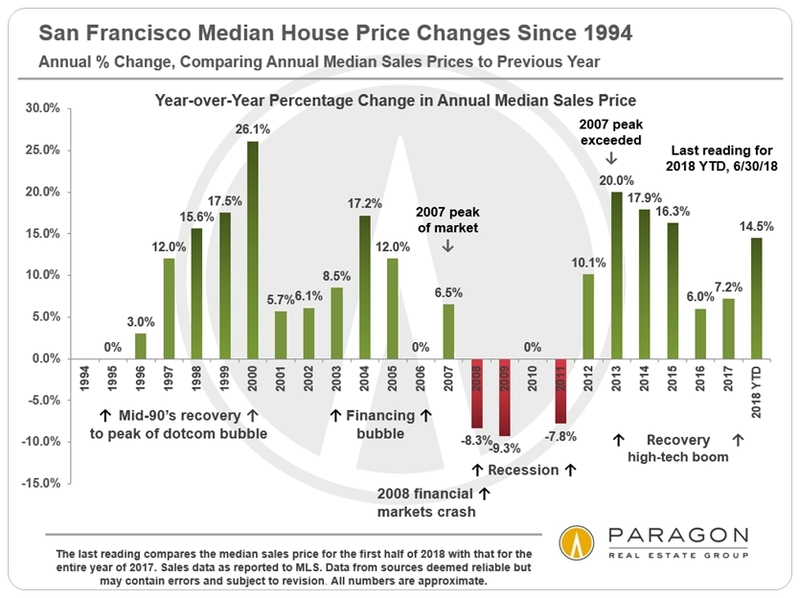 Median sales price is that price at which half the sales occurred for less and half for more. Average dollar per square foot reflects the livable interior space of a home and does not include garages, storage, rooms built without permit, decks or outdoor space – not all sales report square footage, and interior square footage can be measured in different ways. Both of these statistics are generalities that disguise a huge variety of values in the underlying individual sales.